It may be a sweeping statement, but considering global trends, the current political situation as well as the economy, the South African development sector isn’t fairing as badly as most think. According to the FND/BER Building Confidence Index released in March this year, confidence in the sector has improved for the third consecutive quarter, rising by three points to 43 during the first three months of 2017. This marks the highest confidence in more than a year. It’s no secret that politics plays huge role in the real estate sector in this country, mainly because many buyers and sellers adopt a wait-and-see approach before buying or selling. The recent downgrades to the credit rating, rising corruption and the changes to the treasury have undoubtedly taken their toll. 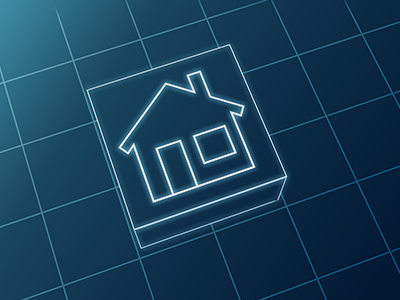 However, it appears that South Africans are resilient to change and although prices on property have slowed, the average real price, according to FNB’s Household and Property Sector Strategist John Loos, remains a massive 64.0 percent above the end of the 2000 level, around 16 and a half years ago. This is obviously good news for developers, despite the ongoing challenges linked to building in this country. One of the main problems experienced by those involved in construction, is delays. Red tape and ineffectual municipal departments can play havoc in a developer’s life and is something few can afford. Fortunately, thanks to a Prevance product, cash flow no longer needs to be a barrier for those developing projects around the country. “At Prevance, we recognise and understand the challenges developers face and our product aimed at this sector has been designed to alleviate cash flow issues”, says the groups marketing manager, Christo Jonker. “And while we don’t claim to be experts in the development field, we do know two things; most projects often take longer to complete than expected and the amount of capital outlay required is often far more than originally anticipated. “Our construction development loan product has been widely welcomed and we have helped numerous developers involved with small to medium developments to overcome cash flow problems. We don’t impose restrictions on our loan and as such the loan can be utilised to kickstart, continue or complete construction. The developer should have a proven track record. Security in the form of a first mortgage bond on a property with twice the value of the required loan. The developer must have invested his own funds into the development. Prevance Capital is a highly successful, longstanding, bridging finance company that has and will continue to help South African developers achieve their property dreams by offering affordable bridging products.